Make in India- Manish Malhotra- The Regal Threads! So Mumbai recently saw Manish celebrating the Make in India campaign, designer style, with his latest Regal Threads! 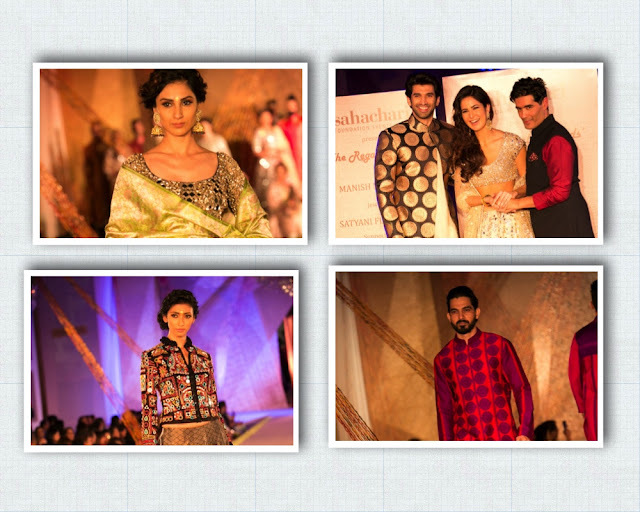 Here’s why Katrina and Aditya Kapoor as showstoppers wasn’t the only good part about The Regal Threads! Manish’s used of Indian heritage weaves for the very first time by the couturier. Take a look! 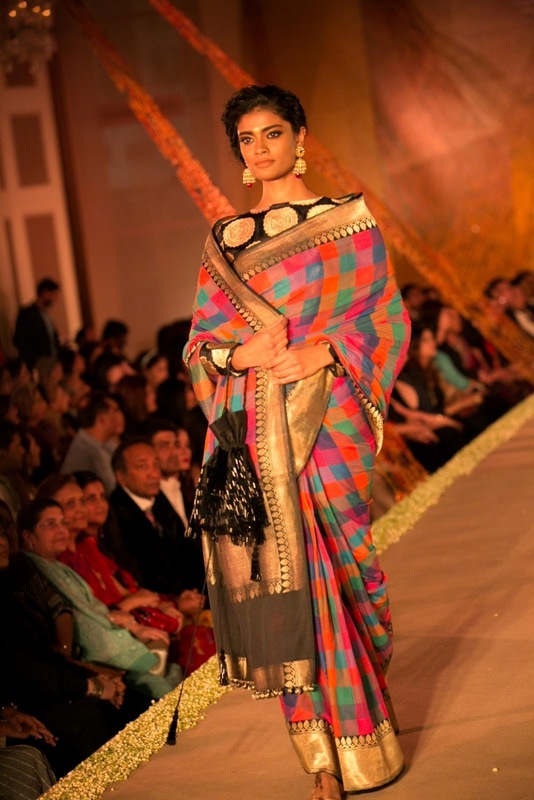 Manish has been a champion of craft revival be it in his Phulkari creations to his Mijwan legacy! In this spirit of inclusion and India pride, this year, the label has continued the effort of giving back with craftsmen of Benaras and Gujarat. Every yard of fabric used in THE REGAL THREADS has been personally curated by Manish and specially sourced from local weavers and crafts clusters in Varanasi and across Gujarat. Check out the mirror work! The array of elegant saris in bold checks, voluminous lehengas and feminine blouses with mirror-work, high-waisted skirts and flowy kalidars made this collection special! The vibrant colour palette ranged from bright pink and orange to lime green and deep blue! Manish has in this collection managed to marry crafts’ traditions, couture heritage, colours with glamour and pizzaz! Celeb spotting at the do! Next post: DON’T BE A PUNK, DUNK THAT JUNK!